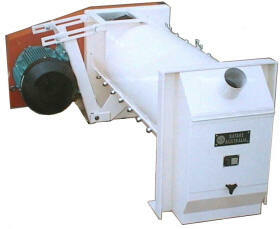 Satake provides mechanical and electronic (colour) sorting systems for seed cleaning. 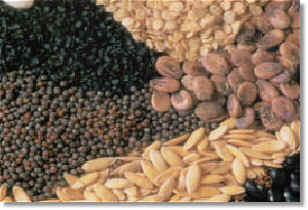 We also offer seed coating, clover polishing, weighing and packing solutions. The Uniflow Length Grader separates free flowing granular products such as wheat, barley, rice and pulses on the basis of length difference. They are available in models ranging from a single cylinder to twelve cylinders and with either parallel or series flow patterns. Voyager Leads the Industry, with Full Automation, Centralized Power Control and Integrated Electronics. 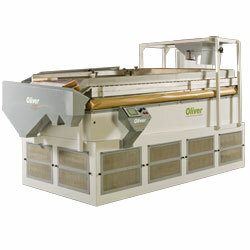 The Voyager joins Oliver's new generation of power controlled, fully automated gravity separators. Built on a legendary rugged chassis and components, Voyager introduces an unparalleled number of adjustment points and power automation to simplify the purification setup. 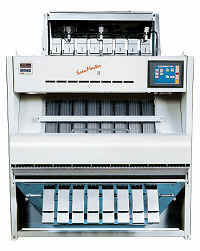 Programmable Logic Circuitry with a pre-loaded menu of up to 20 separation "recipes" means faster and simpler changeover between different products, and optimal separations from even the most minimally-trained operator no matter what your density separation, size separation or contaminant removal needs. Satake Australia Oliver Gravity Separators are used to separate dry bulk materials of similar particle size but different specific weight. Weight differences of as little as 1% can be detected and separated and particle sizes ranging from 200 microns to 15 millimetres can be processed. 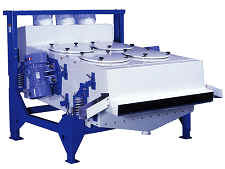 This provides accurate controlled separation of any type of product in flow-able, granular form removing impurities and unwanted foreign material, or upgrading and classifying the product. 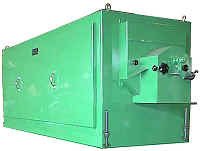 The Satake FS debearder is primarily designed to debeard barley but has since become one of most versatile machines on the market today, having many other applications such as clipping oats, threshing whiteheads in wheat and subterranean clover, de-whiskering carrot seed, breaking of doubles, polishing tomato seeds, degluming sorghum, and breaking flax balls. For the very highest quality, yields and product security, Satake's Colour Sorting Technology is the equipment of choice for today's seed processors. Machines that view in monochromatic, bichromatic, trichromatic and full colour RGB formats and in both visible and infrared wavelengths are available.